Discontinued.The InTec2 25 XE comes with advanced combustion management, helping to continually control and adjust the gas flow, delivering a high energy efficiency. This boiler is smaller and lighter than any other boiler in the Alpha range. It comes with a gas adaptive valve, PCB memory chip, clip-on DHW temperature sensor, a dry change NTC one-piece cartridge diverter valve combined condensate, and pressure relief valve connection. It features frost protection and a daily pump kick to help your boiler from the cold wintery days to the warm summery days when you may not need to use it. It has an easy to use backlit LCD with push button controls and detailed operational information. 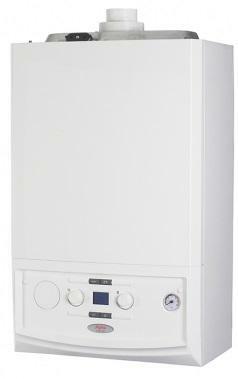 This boiler comes in the output of 24kW but is also available in 28KW, and comes with a 7 year warranty.